Movie business is turning out to be a big investing venture. Many people are profiting from the business also some of them facing huge losses. It’s a big gambling business, having a belief on talent of the people and investing money is risky. Telugu movies craze is increasing on a daily basis and producer of the movies are cashing this craze to reach film to each and every part of the world. Some of the Telugu movies have done exceptional business and brought profits to both the distributor and the producer and provided entertainment to movie lovers. Let’s have look at the top 10! Nayak staring Ram Charan, Kajal Agarwal and Amala Paul was released for sankrathi festival last year and was a successful movie. The movie collected the maximum collections in Ram Charan’s movies till now. Directed by V.V. Vinayak the movie had nothing special and variety in story and treatment but comedy from actors Brahamanandam, Posani, Jayaprakash Reddy and M.S. Narayan helped in bringing audience to theatres. 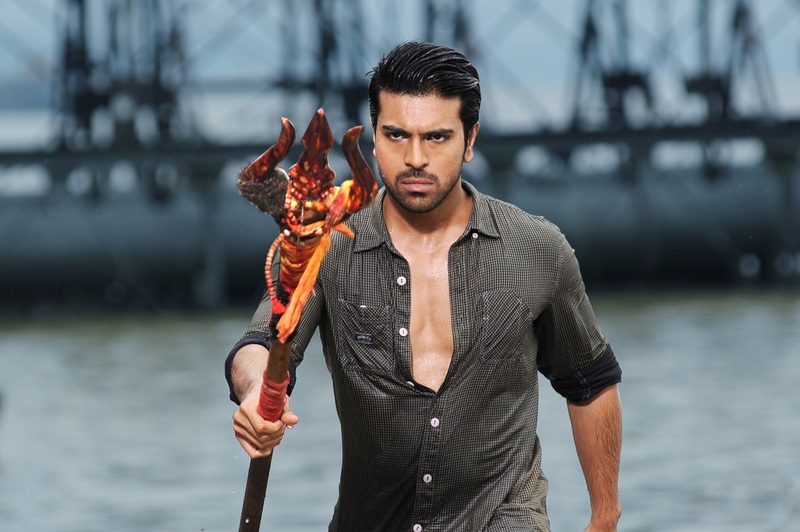 Ram Charan’s performance, dance, Kajal’s and Amala’s glamour played important roles in success of the movie. Nayak was produced by D.V.V Dannayya. The movie collected 46 crores for overall run. Baadshah directed by Srinu Vaitla and produced by blockbuster producer Bandla Ganesh was released for last summer and was considered an average grosser. Srinu Vaitla came up with the same formula and style of making. It’s time for him to change his direction style. NTR put his 100% effort in all departments and was successful. Kajal’s glamour and Brahamanandam humor were major highlights of the movie. Thaman music also contributed to the success of the movie. The movie collected 47 crores for overall run. Yevadu movie directed by Vamsi Paidipally and produced by Dil Raju was an above average grosser at the box office. The combination of Arjun and Charan, the postponement of movie for almost six months, foot tapping music from Devi and glamour of actress Shruti Hassan, Kajal Agarwal and Amy Jackson all lead to good collections of movie. 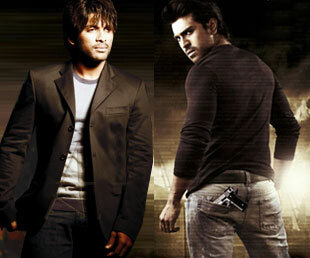 Charan is improving as an actor and Arjun’s presence definitely helped the movie. The movie was released for Pongal this year and registered as the first success in Telugu this year. The movie collected 47 crores for overall run. Mirchi directed by writer turned director Koratala Siva and produced by Prabhas friends Vamsi and Pramod was a good successful movie. The movie story and screenplay was routine but there was some attraction in the movie. Prabhas action, Devi’s music, heroines Richa and Anushka glamour were main attractions in the movie. Siva made sure to insert good commercial elements in the movie and entertained audience with his dialogues. The movie collected 47 crores in overall run. SVSC is the first multi starrer after fifteen years and both actors Mahesh Babu and Venkatesh should be appereciated for starting the trend back. When two big stars come together one expect a commercial movie but the director Srikanth Addala came up with a good family subject where one can relate and connect with the characters. Anjali character as seetha, Prakash Raj father character and Jayasudha mother character got good recognition and remembered by audience. Movie was produced by Dil Raju and music by Mickey J. Meyer. The movie collected 51 crores in overall run. Dookudu released in 2011 is still considered as highest grosser in Mahesh’s career. The movie directed by Srinu Vaitla and produced by 14 reels entertainment. The movie entertained audience to core. Thaman composed music. Samantha glamour and comedians Brahamanandam, M.S. Narayana’s humor are the main assets of the movie. Mahesh gave top class performance. The movie collected 56 crores in overall run. 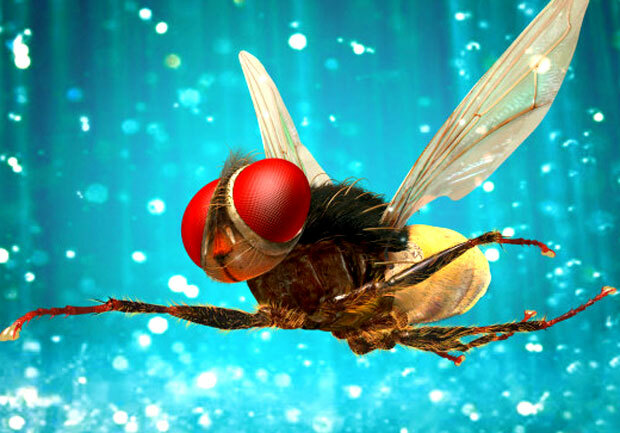 Eega can be considered a new revolution in Telugu movie industry. This revolution is only possible with directors like Rajamouli. Movie goers watched English movies like Spiderman, Batman, Iron man etc., where graphics play an important role. Rajamouli tried to bring that tradition to Telugu with Eega. Producers Sai and Suresh Babu should be appreciated for encouraging idea like Eega and coming forward to invest money. The movie starred Nani, Samantha, and Sudeep in the lead roles and Eega as the central character. Music by M.M. Keervani needs special mention. The movie collected 57 crores in overall run. 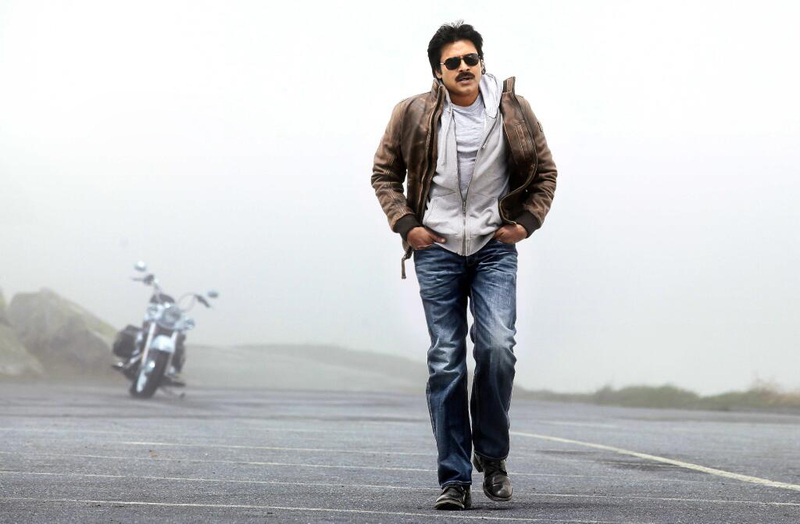 Pawan Kalyan is the only actor in Telugu whose craze reaches peaks irrespective of hit or flop. Such craze is seen in Tamil Nadu for Rajinikanth. After success of Jalsa in 2008, Powerstar movies did not fare well at box office. After four years in 2012 Gabbar Singh was released on May 11th and created history. The movie gave full satisfaction to fans and made them proud. The reason being the direction of Harish Shankar, though the movie was a remake of Dabbang director made sure the movie suited the taste of Telugu audience with his changes like the famous antaykashari scene and more. Blockbuster producer Ganesh, Shruti Hassan glamour and Devi music were added plus points. The movie collected 64 crores in overall run. 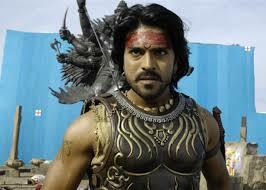 Magadheera movie released five years ago and still holds the second position in the list. One can imagine how much impact the movie must have made on the audience. Again Rajamouli should be given credit for the huge success and producer Allu Arvind for investing huge money into production which was a risky project on second movie of Charan. The second half of the movie takes you to a different world, the chariot fight episode, the 100 men fight episode, the sets, the CG work and background score of M.M. Keervani are first class. The movie collected 73 crores in overall run. By this time one must have guessed the top movie of the year. The movie was planned to release for Dusheera but due to leakage in the first half of the movie was pre released in September last year itself. Though part of the movie was released on net turned to be top grosser in Telugu movie industry till now and was the first Telugu movie to get close to 100 crore club. Every technician’s contribution to the movie was best and top class. Pawan Kalyan is not a star anymore; he is a brand and god to his fans. Most of the people in the industry are just using his name to get popular. Trivikram Srinivas concentrated more on script, dialogues and screenplay than on Pawan image and stardom. Samantha provided the required glamour and Pranitha who was earlier considered an iron leg got her first success. Devi’s music was mesmerizing and best in the year. Movie was produced by Prasad. The movie collected 85 crores in overall run.